Each spring, Friendly Center sets the goal of collecting 1,000 Easter baskets to distribute to children in Orange County. For the past 12 years, members of Newport Center United Methodist Church have donated hundreds of these baskets to Friendly Center for children in need. The Corona Del Mar based church has made a tradition of it, getting much of the congregation involved. The youth group even dedicates an evening to assembling baskets. Newport Center makes the process simple for members by giving them the option of donating individual gifts – like books, chocolate bunnies, small toys, and hygiene items. For these individually donated items, Newport Center provides baskets and other items to ensure each basket is complete. 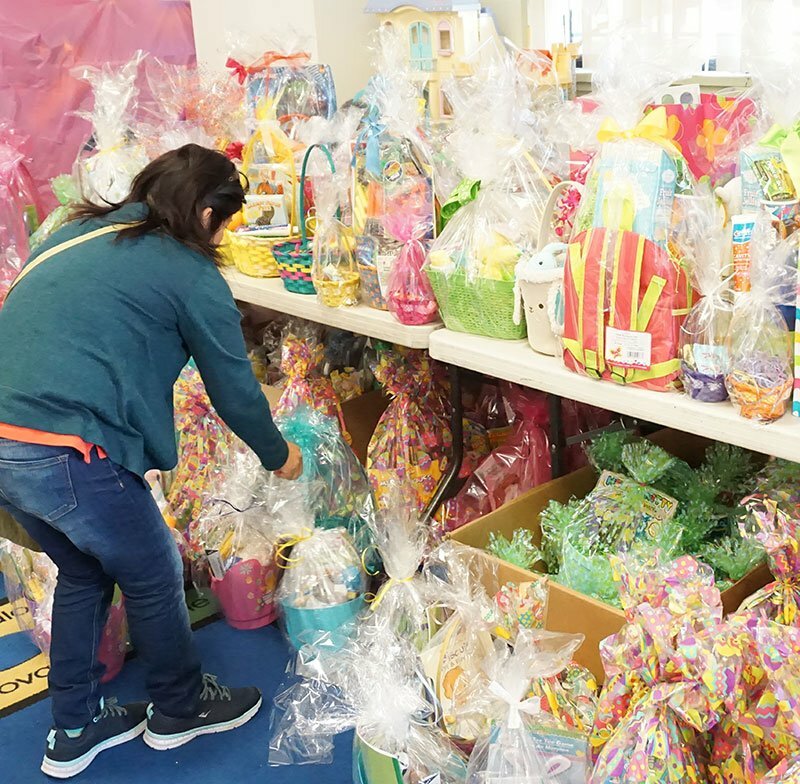 Collecting and assembling Easter Baskets for Friendly Center is a great way to get your church, club, or organization involved in the community this Spring while spreading joy to children in need. Even the donation of a single basket can go a long way in making a child feel the hope that this season of light and renewal brings. To learn more about what baskets should include, or where to deliver baskets on this year’s designated drop-off day, visit our Easter Basket Collection page.